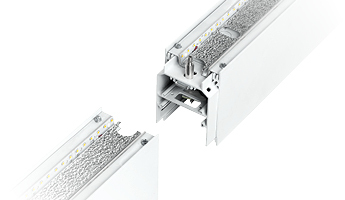 Featuring four aperture widths, a selection of mounting types, output distributions, lumen output, diffuser types along with dozens of features and options, the MOD™x family is the perfect solution to any space or environment. 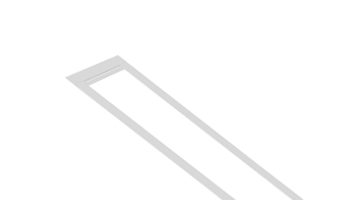 Square version creates a 90° corner (C), T and X shapes. 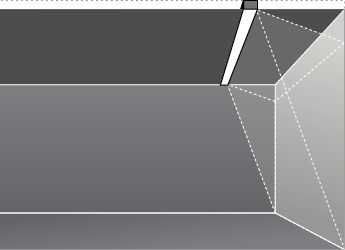 Triangle version creates a 120° corner (V) and Y shapes. Available on 2L-P only. 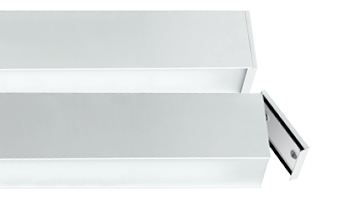 Optional Low Peak Angle with Diffuser (LPAD) diffuser helps blend light in close to wall/ceiling applications. 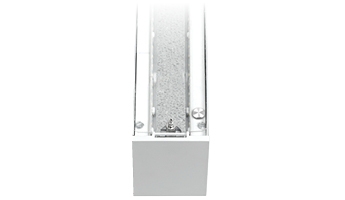 Clear dust cover available to ease in fixture cleaning. 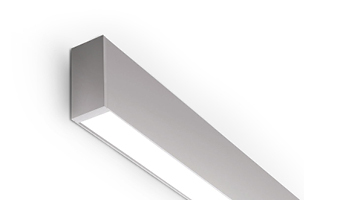 Center X-bracket design allows for Male/Female connection to straighten out row joined fixtures and block light leak at fixture seams. 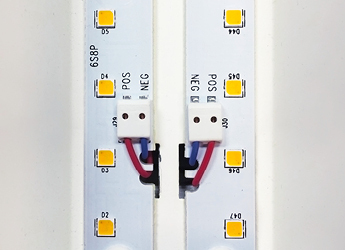 Patented end cap design with magnetic attachment allows for easy installation, while the overhanging lip eliminates LED glare and allows for diffuser adjustment. 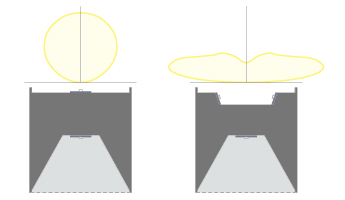 Paired with a calculated lens-to-LED source distance creates a uniform diffuser appearance regardless of fixture width. 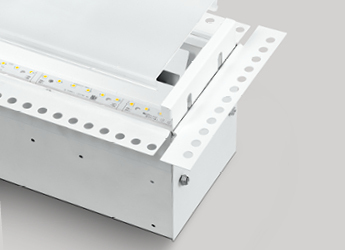 Uplight distributions available in Standard (STD) and Low Peak Angle (LPA). 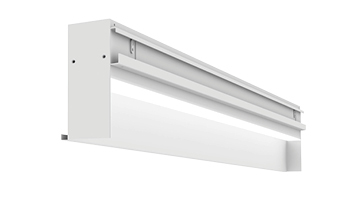 The LPA option is perfect for closer to ceiling applications and allows for less fixtures in your space, changing the recommended fixture to fixture spacing from 12&apos; to 16&apos;. Six diffuser options allow for customization within any space. 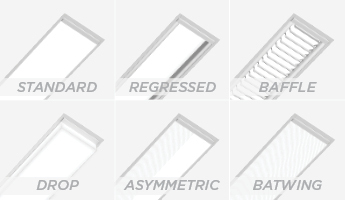 Featuring regressed and drop lens options for a 3D effect, a blade baffle for glare reduction and three flush options for optical control (lambertian, asymmetric and batwing). 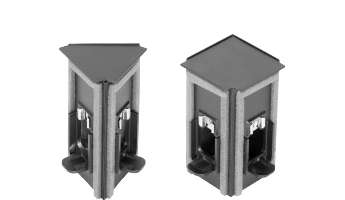 Extruded snap in lens is simple to pop in and out. 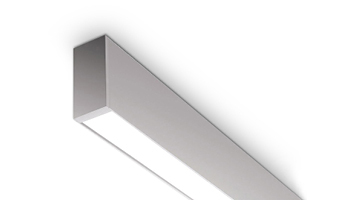 Each fixture has a unique flange welded on for a perfect fit in any ceiling. 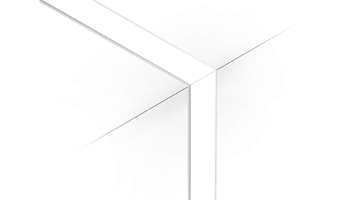 The ASYM option can be utilized to wall wash in your space.